Brooks Brothers is a leader in the fashion retail industry, and has been around since 1818, when Henry Sands Books first opened H & DH Brooks & Co. in Manhattan. His goal was to sell high quality product at a reasonable price. In 1833 the company was inherited by his four sons, and in 1850 the business was renamed Brooks Brothers. A Brooks Brothers application is not just for any job, it’s for a position with a company with a distinguished history. Early on, Brooks Brothers was very well known for introducing to American customers the ready-to-wear suit. One of their early most loyal customers was President Abraham Lincoln, who wore a coat from them at his 2nd inauguration. In fact, he was wearing the same coat and one of their suits on the night he was assassinated. As well as Lincoln, Brooks Brothers has outfitted a further 38 American Presidents. With approximately 346 factory and outlet stores, and continuous growth by reputation and service, it is no wonder Brooks Brothers jobs are highly sought after. It is the ideal place for those with a passion for upscale fashion trends. This company also encourages social responsibility, and is interested in helping to improve the lives of those in the community, and worldwide. They founded a non-profit organization called The Golden Fleece Foundation in 2007, and through fundraising and donations, have supported The Breast Cancer Research Foundation, the 9/11 Memorial and Dignity UWear. Entry-level Brooks Brothers jobs are predominantly in the area of customer service. To be considered for employment, you need to have a great fashion sense and an interest in current fashion trends. Experience is not always necessary, but preference is often given to those with previous fashion retail experience. There are many job opportunities available in different locations. You can find out more on how to apply for Brooks Brothers jobs online and how to submit a Brooks Brothers application through their website. 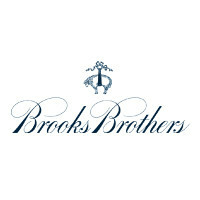 Brooks Brothers careers also encompass a number of corporate, professional and management roles. As well as a love for fashion, for most of these roles you must have qualifications and experience to be considered for hiring. These positions are generally in the fields of marketing, production, fabric specialist, cost accounting, merchandise and designing. You can search for Brooks Brothers jobs online through a third party site. How old do you have to be to work at Brooks Brothers? You must be 18 years old to apply for jobs at Brooks Brothers. A variety of work benefits may be applicable, but will vary depending on whether you are working part-time or full-time. Financial incentives including 401(k) retirement plans, and performance bonuses may be available for eligible employees. Also insurance options such as medical, dental and vision coverage are benefits you may qualify for. Flexible hours, employee discounts and paid training also apply to eligible staff. Opening hours may vary between stores, but are normally 10:00am – 9:00pm Monday to Saturday, and from 10:00am – 6:00pm on Sundays. Sales Associate – The main responsibilities of a sales associate are to assist the customer with product selection, ordering and sales. Sales associates much maintain current knowledge of what products are available, and what sales are on. Shelf stocking and keeping the area clean are tasks that may be required. Cashier duties like scanning items, removing anti-theft devices and the processing of payments are also necessary. The average wage is usually between $10.00 – $13.00 per hour. Assistant Store Manager – The assistant store manager is required to uphold the policies of the company and ensure employees show maximum productivity. Even with a store manager in situ, the assistant store manager still has a lot of authority. Responsibilities can include disciplining staff, counting safe drawers, approving large transactions, and assisting customers with issues or complaints. The general salary is around $50,000 per year. Supervisor – The main responsibilities of a supervisor are driving sales performances, shrink and payroll to exceed the goals of the store. Also, coaching associates and inspiring them in creating, teaching and demonstrating a specialized shopping experience for the customer is required. They should engage the community through marketing and outreach with relevant organizations. They must also communicate merchandising needs and trends to the store manager. The hourly salary ranges from $11.00 – $16.00 per hour. Key Holder – The primary responsibility of a key holder is to open and close the store. This frees up the managers to concentrate on their other duties. Other tasks may include fetching change and cash from the bank, and making sure the cash registers are programmed correctly with current prices and promotions. The average wage is between $10.00 – $14.00 per hour. To prepare for an interview it can be helpful to contemplate what questions may be asked so that you can develop suitable answers beforehand. What do you know about Brooks Brothers? This is a typical question to see if you really are interested in the company. You should research the company beforehand so that you can answer this question easily. What are your weaknesses? Many people don’t like to answer this question as they think it jeopardizes their chances at success. This isn’t necessarily true, as the weaknesses may not impact or the job, or they may be able to offer training if necessary. What do you think of your previous boss? This is a tricky question, but you should never say anything negative. Think of some positive comments you could make regarding your previous boss. Do you have any questions for Brooks Brothers management? It is always a good idea to come up with a few questions you could ask, as it shows genuine interest. But, don’t ask direct questions about salary, as some see this as offensive. Where do you see yourself in five years time? This question is aimed at finding out whether you are planning a career with the company or if you are just looking for a temporary job. You should be honest, because it could cost the company money and resources to train you for a career. The official website does not have an online application function. However, you can search for Brooks Brothers jobs online through third party sites and apply online through them. There is no download application form, and no printable application form. If you do find a printable application for Brooks Brothers, make sure it is a legitimate form and then take it into your local store as a direct application. Either method is a free application with no costs involved. When you fill in a Brooks Brothers job application online make sure it is filled in correctly and truthfully. It can take up to two weeks to get a response, and you may call or visit the store to make enquiries about the status of your application. This can sometimes increase the chance of being hired, as it shows enthusiasm. Try and do this during off-peak times, as the staff will be busy. When you receive an interview, it is a good idea to arrive early for your appointment. This shows you are keen and able to manage your time. Some people find it useful to take a copy of your resume with you, so that you can refer to it or just so you have something to hold, which can lessen anxiety. Be polite at all times, friendly, and dress appropriately. Talbots: See our guide for careers at Talbots. Michael Kors: For career opportunities, fill out the Michael Kors online application. JoS. A. Bank: See our guide for careers at JoS. A. Bank. The Children’s Place: See this page for jobs at The Children’s Place. A’GACI: Visit the job application for A’GACI to apply today.